Should you sell your home to a local cash investor? Well, there are many important things to first consider when thinking about doing this, so it’s not something that you should decide on hastily. Over the past few years, the landscape has rapidly changed in the Colorado real estate markets, and it’s now prime time for investors in this local area to purchase single family homes for the purpose of fixing, flipping, and then reselling on the retail marketplace. With all of these new investors entering the markets on a daily basis, the pricing for homes has become increasingly more competitive, so it will be more difficult for newbies to gain some traction when moving into these markets from outside areas. Regardless of your timing, you should know if dealing with a cash buyer is right for your situation as a seller, and we are going to go over the pros and cons of doing so in the following paragraphs. 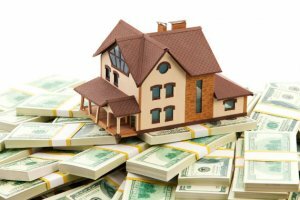 You should not consider selling your home to a cash buyer if your home is in pristine condition, unless you absolutely need to sell immediately. If your home is in great condition and you don’t need to sell fast, listing it with a licensed agent or selling it yourself would be a more practical solution. Many times sellers and homeowners don’t have to wait for traditional lending opportunities. Obtaining financing usually delays the closing timeline, and can dramatically increase the amount time spent in escrow. Cash buyers most often buy their homes using cold hard cash, meaning they can close fast, or on the date of your choice. Investors usually aren’t concerted with the condition of the property, because they have contacts with local contractors who can quickly repair the home to get it ready for retail sale. Investors are typically flexible on the terms of the contract as well, whereas a typical buyer might not be. For example, closing date, condition, moving arraignments, etc… Most cash buyers also do not care if you choose to leave items at the house, or don’t want to repair certain damages that may exist with the foundation, or the roof. Be certain that you are performing your due diligence and research on the company or individual who is buying the home. Make sure they have some testimonials from other sellers in the area, or ask for a list of properties that they have recently purchased. Also, ask for referrals from clients that they have recently dealt with to make sure that they can close quickly on your home. Usually a licensed real estate agent would perform this work for you, but if you’re selling your home to a cash buyer without an agent doing some research upfront can go a long way. Most cash buyers do not pay full market value for the house, and they will often pay 60 – 75% of the ARV, minus their fees and repair costs. This doesn’t necessarily mean that it’s a bad deal. If the house is in poor condition then you can end up saving money on realtor fees, escrow fees, closing costs, repair costs, and holding costs like mortgage, taxes and interest. Just be certain that you have a comprehensive understanding of the home’s value in its “as-is” condition. Also, make sure you understand that an investor needs to make some profit from flipping the home, while a regular home buyer doesn’t. If you are wondering how to negotiate the best price with an investor, then you should definitely pay close attention to this section, as it will likely have the greatest impact on the price that you are able to get for your home. If you are certain that selling to an investor is a good option for your particular situation, then the next step is to figure out how to negotiate the best price for your property. Let an investor know that you are fully aware that they need to make a profit on the deal, but you expect a reasonable offer for both parties involved. Let them know right off the bat that you know how much your home is worth, and that you aren’t willing to go below your bottom line price. Ask the house buyer for a few references and referrals to make sure that they are operating a highly ethical and responsible company. If they make an offer, ask them how they determined that number. Transparency is critical when dealing with a cash buyer. Ask them what they intend on doing with the home after they buy. Will they fix it and resell it, or hold onto it and rent it out to a local tenant in the area. If you are a homeowner in Colorado who is interested in selling your home to an investor, contact us today and get a free online quote for your home. We will work with you to come up with an accurate value of the property, and once we have successfully negotiated the pricing, we can close in as little as 7 days, or whenever you choose.